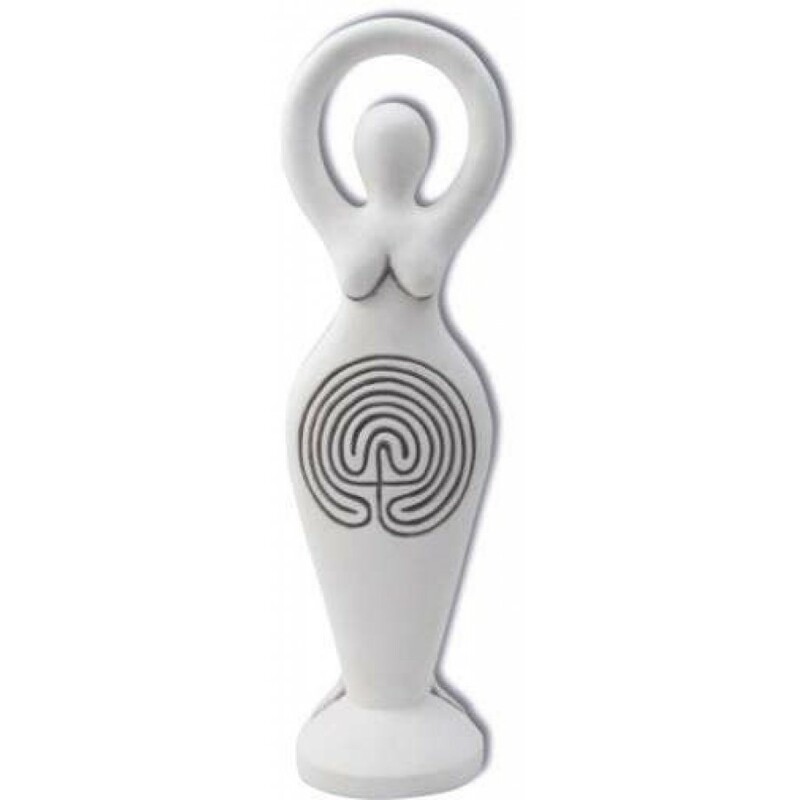 Add a magical and divine presence to your altar with this Labyrinth Goddess statue by Abby Willowroot. 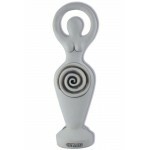 This Goddess statue represents the path to enlightenment. 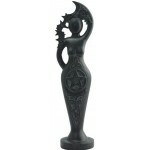 It is a popular choice for a Goddess Altar Statue. 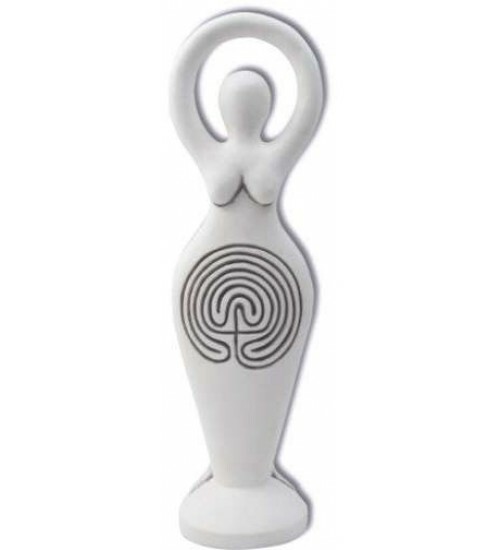 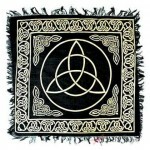 Double sided, one side displays the oldest known maze design, the labyrinth, which holds spiritual value in many cultures and sects of pagan traditions symbolizing our continuing journey to knowledge. 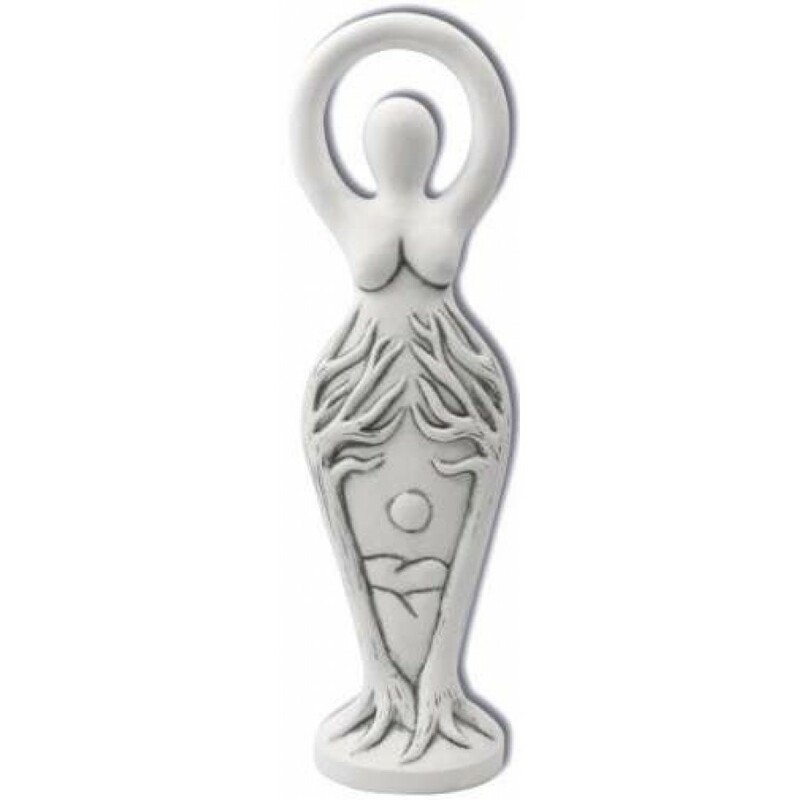 The other side shows three forms of he Goddess: Trees frame voluptuous hills beneath the full moon. 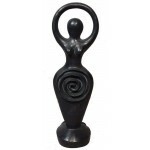 As a whole this statue invites delving inward in meditation or expanding consciousness outward to embrace all creation. 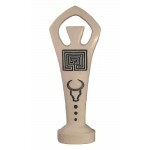 This cold cast gypsum statue is 7 3/4 inches high with a white antique stone finish. 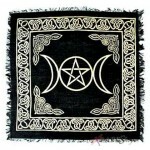 Item Number: SS-ALG | Approximate Size (Inches): 3.00 wide x 2.00 deep x 8.50 high | Approximate Shipping Weight: 1.00 lbs.